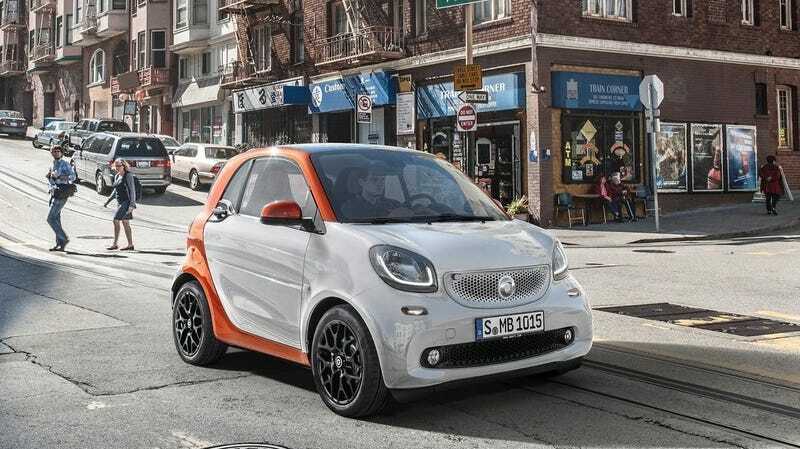 Daimler’s Smart was a wildly ambitious idea: can you get a European-style microcar to work everywhere, especially as an early pioneer of car-sharing? But it’s widely known that Smart has been losing money across the board for years now, and if this German business journal’s report is accurate, it may not be very long for this world. According to Automotive News, Germany’s Handelsblatt reports new Daimler CEO Ola Kallenius has no sentimental attachment to the Smart brand, which has been around since the mid-1990s. Kallenius has “no history with Smart” and “no scruples about killing the brand if necessary,” which is appropriately cold and businesslike and German. The story also adds that while the current car is a joint venture with Renault to cut down on costs, Renault is considering not re-upping on that partnership. Why kill Smart off after all these years? Although Daimler doesn’t break out financial performance by brand (it’s similarly coy on the Smart-centric car-sharing service Car2Go) Smart has “hemorrhaged billions of euros” since the vehicle’s launch in 1998. It came to the United States in 2008. At least in this country, Smart’s decline is not surprising. It hit its sales peak when it first launched, moving over 2,000 examples a month in its first year on sale, according to data from Good Car Bad Car. Those have dipped into the low hundreds per month in recent years, and these days in the U.S. they are only privately sold as electric vehicles. The gasoline ones still exist in Car2Go fleets, but even those are reportedly being phased out in favor of actual Mercedes-Benzes. A better representation of Mercedes’ electric strategy is in big, luxurious, Tesla-fighting vehicles like the EQC crossover. Automakers across the board seem to believe the taking-off point for EVs is premium luxury vehicles where speed, performance and longer-distance range take center stage. In other words, they’ll be closer to the conventional internal combustion cars we’re used to, not radical reinventions of city cars. It’s also abundantly clear that no matter what happens to Smart, Mercedes won’t be abandoning mobility ventures anytime soon, and is indeed planning big tie-ups with rival BMW on those fronts. 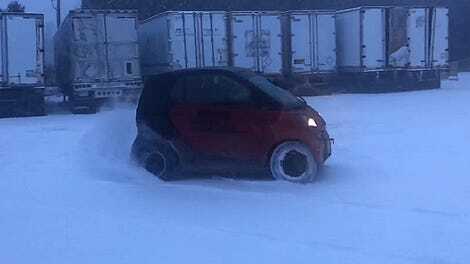 I maintain that though the car itself was kind of subpar (it got vastly better in its latest generation, though) that Smart was a fine and ambitious idea. Tons of cities made good use of Smart Fortwos in Car2Go fleets, and their unique size made them incredibly appealing to a niche of buyers. Unfortunately, that niche may have just been too tiny, and if we’ve seen anything lately, it’s that for a while the future of cars is going to be big—not small.